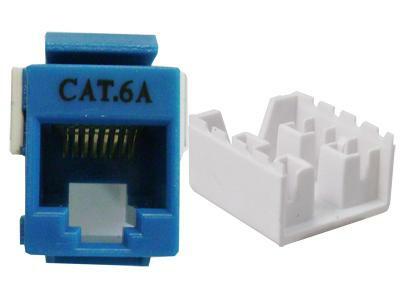 Cat.6A keystone jacks are designed for computer networking and compared with Cat 5 and Cat 5e, Cat6A features more stringent specifications for crosstalk and system noise. 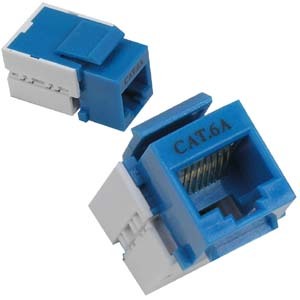 Cat6A jacks are engineered to provide superior performance and reliability, supporting up to 10 Gigabit Ethernet applications and exceeds TIA/EIA Category 6A performance standards. 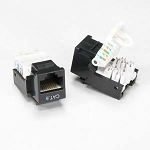 Connectors are designed to enhance plug-to-jack connection integrity and protects against damage caused by insertion of 4 or 6 position plugs. 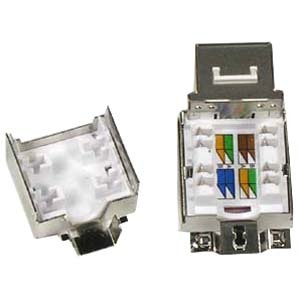 Rear 110-type contacts are designed to provide improved conductor retention and ease of termination using a standard single position 110 punch tool. 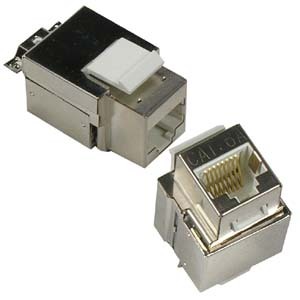 Category 6 connectors are slim in profile for the highest density applications. 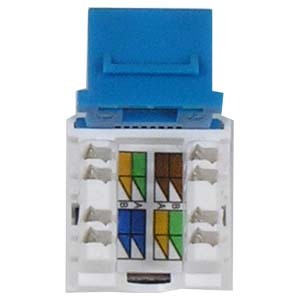 Keystone jacks support both T568A and T568B wiring schemes with an easy-to read color code wiring label for maximum flexibility. 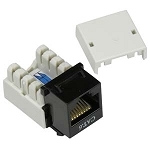 In addition, we offer shielded keystone jacks which provide full shield protection and reliability against electro-magnetic interference (EMI),which is commonly present around power cables and heavy machinery. Exceed TIA/EIA Category 6A performance standards.